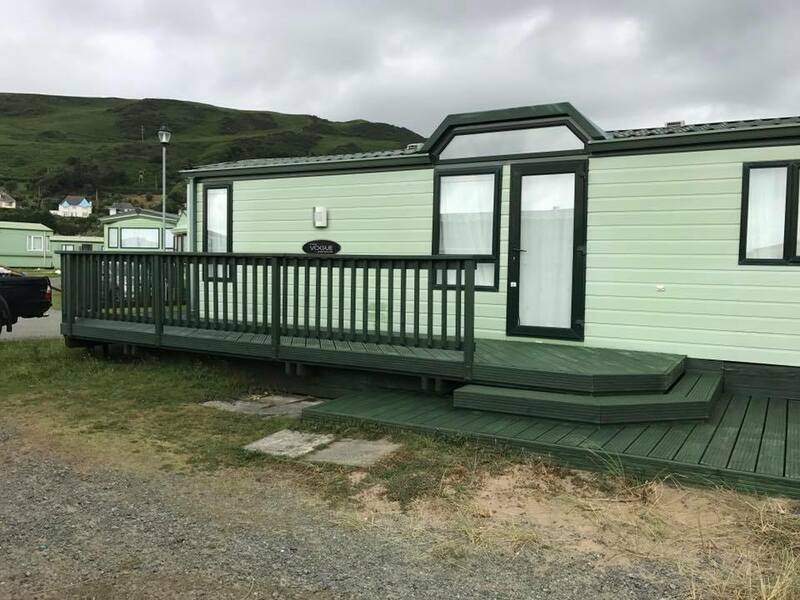 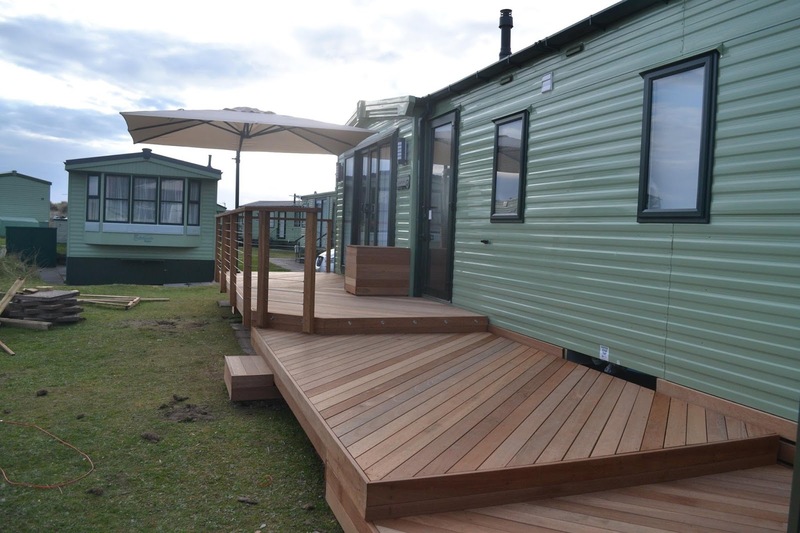 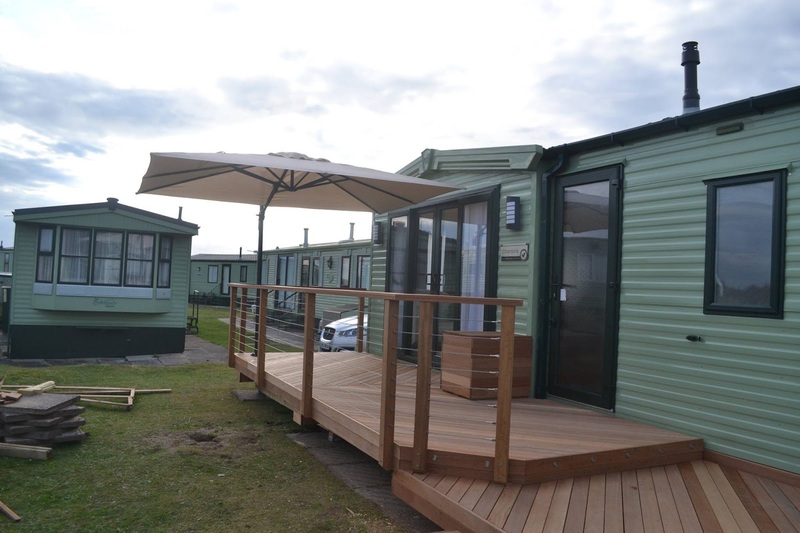 Here's a recent deck we've just finished on Penros Caravan park in Aberdyfi / Aberdovey. 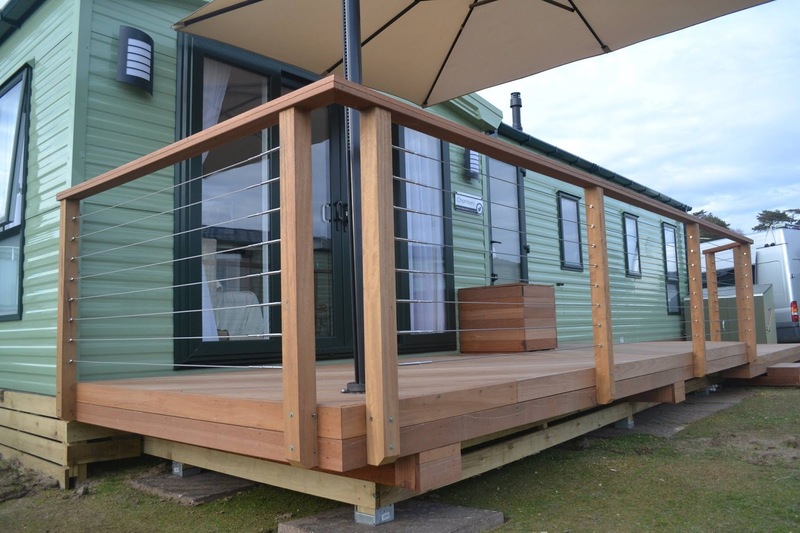 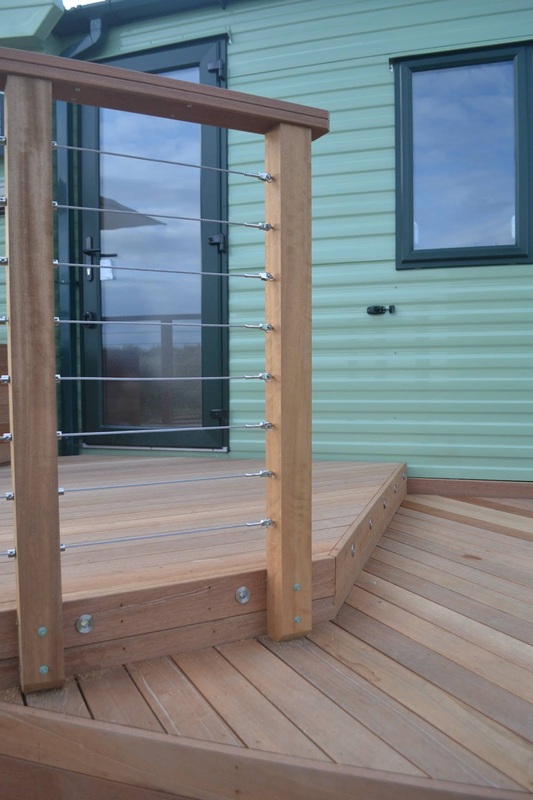 Our client wanted this functional three level decking to compliment his new caravan and its styling. 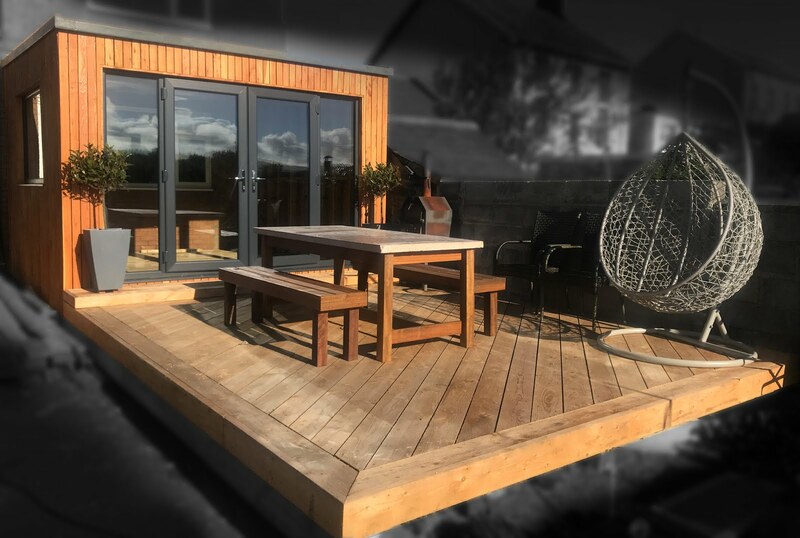 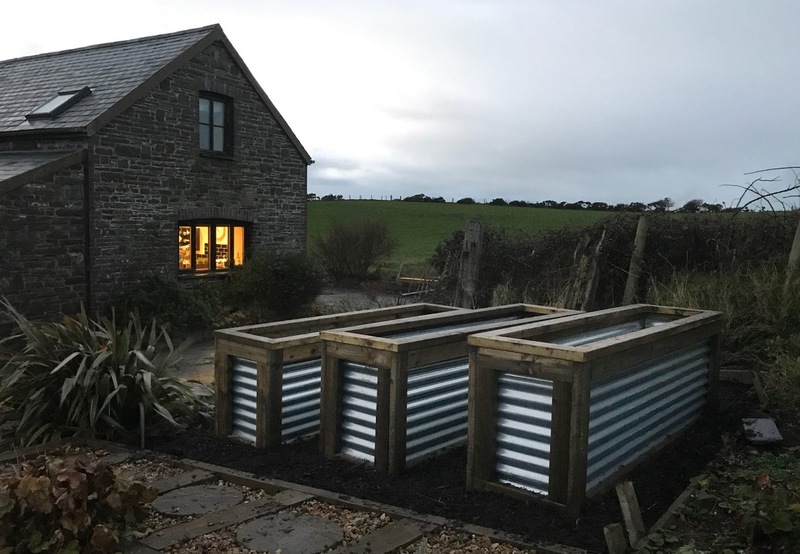 We used Balau hardwood decking laid in a herring bone design on the largest area and opposing diagonally laid boards on the next two levels. Not wanting to spoil the view out onto the dunes we used marine grade stainless steel wire railings to finish the job. 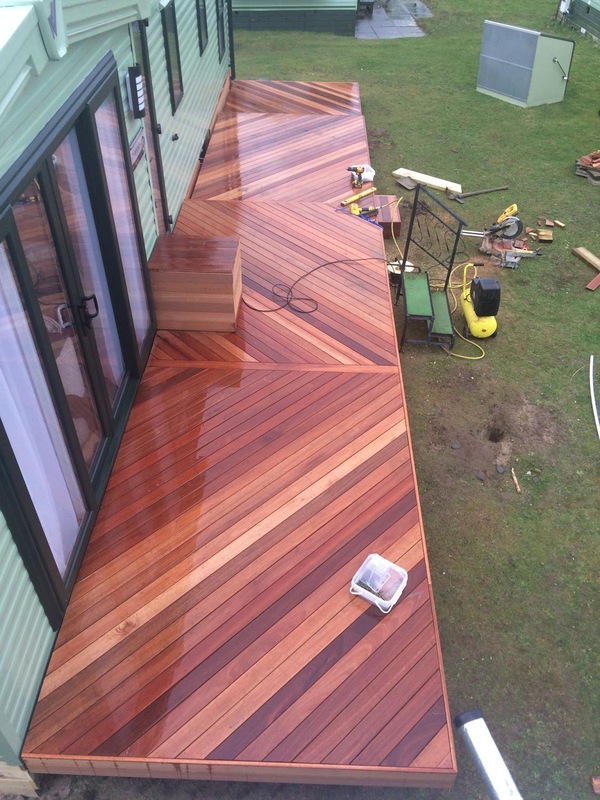 Hope you like this great alternative to softwood or plastic/composite decking.